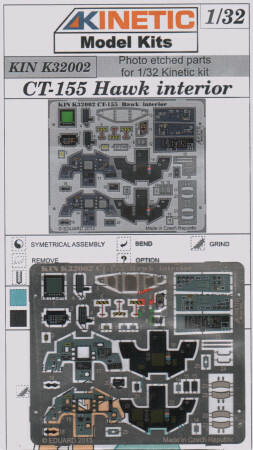 Kinetic has released a nice detail set for their recent 1/32 Hawk 100 Series kit. 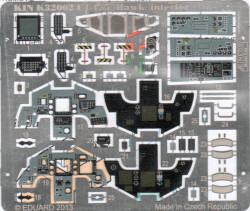 This set is color-printed photo-etch produced by Eduard for the Kinetic brand of detail sets and provides a great-looking two-layer instrument panels, side consoles, ejection seat belts and shoulder harnesses, actuator handles, and placards to render the CAF version interior. 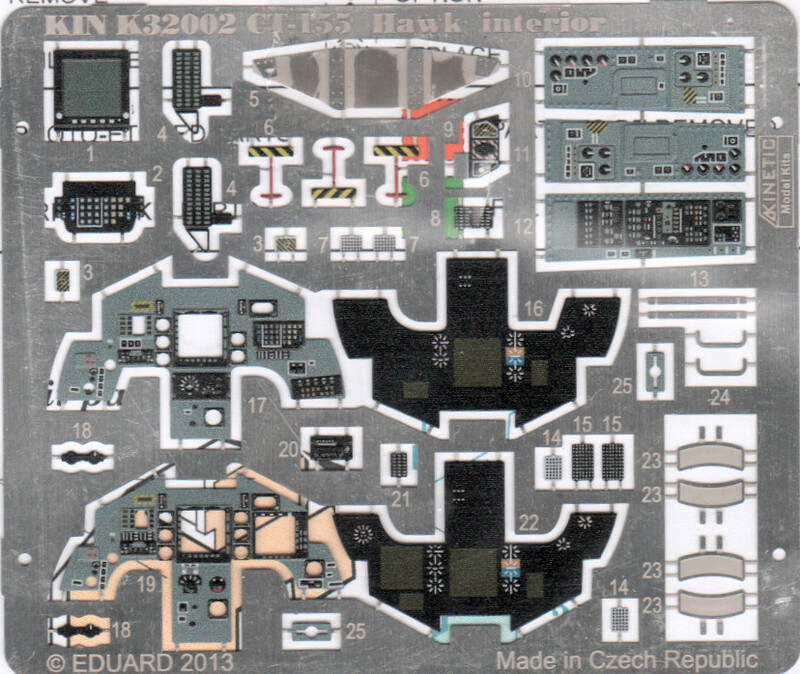 Kinetic has produced a different set for the RAAF Hawk 127 version.